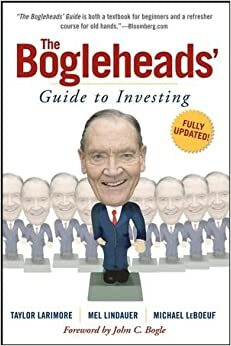 Just a note for OP or others reading that "Bogleheads" are those that follow a certain value investing philosophy from Vanguard founder John Bogle. For some basic investment literacy, it would not hurt to read "The Bogleheads' Guide to Investing" (https://www.amazon.com/Bogleheads-Guide-Investing-Taylor-Lar...). I've also heard good things about John Bogle's "Little Book of Common Sense Investing" but haven't read it. Firstly, if you want to get into investing I would highly recommend reading "The Bogleheads' Guide to Investing". It is geared more towards Vanguard, but the same investing principles apply. Secondly, don't be afraid to shop around on where to invest. As posted above, Total Stock Market Index's and Target 20XX accounts are a great investment vehicle to use since the company (in this case Schwab) does all the investing into stocks and bonds for you. This is all explained in the book I posted above, as I was in the same boat and had no clue where to begin. Best of luck! Mutual funds are probably your best bet for getting started. Super simple, instant diversification; just set it (monthly contributions), forget it, and let compound interest work. Check out this book: The Bogleheads' Guide to Investing . If you'd like to do something more active, there's nothing wrong with that, it's just very hard to beat the market. Most professionals can't even do it consistently. Your honesty and self-awareness are great first steps in remedying your lack of knowledge. Figuring out your goals and time horizon can actually be the hardest part of investing. It's a necessary prerequisite to actually investing though because, as you can see, your time horizon directly affects the type of investments you should consider. I would advise plopping the money into a 6- or 9-month CD and spending that time getting yourself up to speed on some investing basics. Better to "lose" 6-9 months of investing time than to invest in a way that could potentially be hugely detrimental, especially when you have such a nice nest egg to preserve (and hopefully grow).